Yesterday after we came home from Andy's Christmas party at school, we worked on an Advent project - make a treasure box (yes...a day early lol - oh, well). 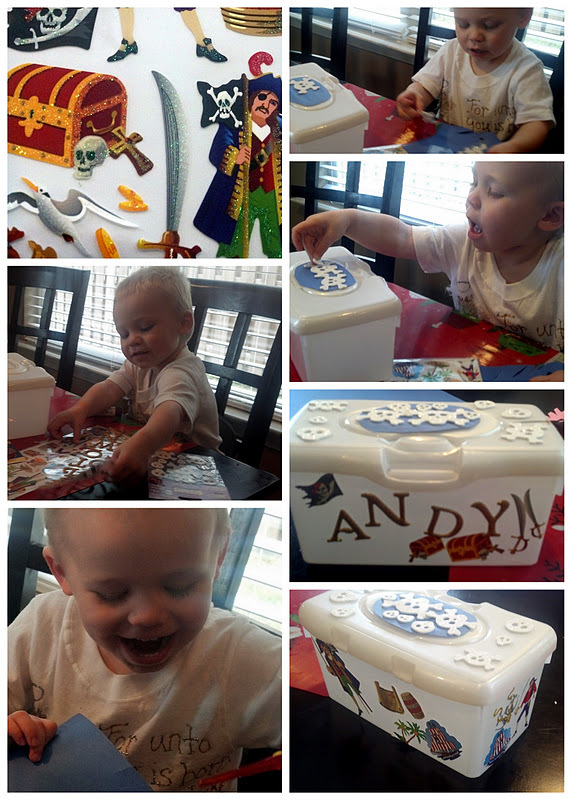 Andy was pretty excited that he was going to have a treasure box of his own. He was so cute about it!! I asked him about his treasure - what is special to him that he wants to keep in the box. He said Tusker, of course :) But, he also said M&M's and - wait for it - ALEX! Ha! Very cute! He wants to put Alex in a box LOL. I think I wanted to put a few of my brothers in a box at some point, too...except to ship him to Australia or something. 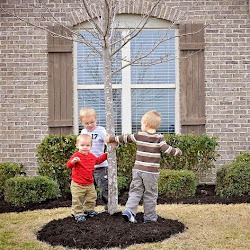 Well, mommies, if you have an empty wipes box and a wild child, then here is an activity for the afternoon! Pictures on the right side going down: Grabbing stickers / Adding to his treasure box / Front of treasure box / 2 of the sides. Do you keep empty wipe containers? Do you have some ideas for reusing these?